Not all degrees are equal , not every University is equal and some “universities” are not accredited and are nothing more than diploma mills. It is therefore essential to ensure that the candidate has been awarded a degree after completing the prerequisite subjects that would grant them the equivalent of the degree that local applicants have. 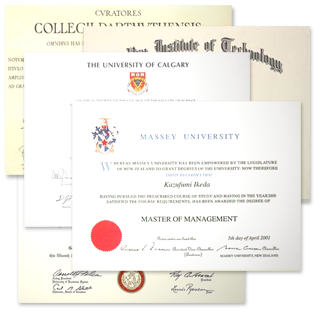 At Verisure we specialise in degree and transcript verification and have ,many years of experience in this field. A degree is only a Google search away I found the site http://diplomaxpress.com/univ.html and scrolled through the list of universities which it offers “novelty diplomas and transcripts” for . 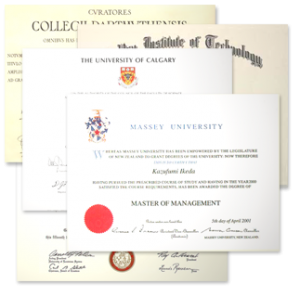 There is only one reason a person would wish to have a fake degree and that is for Fraudulent reasons, degrees get people better jobs and better pay. Now there is the ability for the dishonest to skip many years of study and go straight for the degree. There is no such thing as an ” original ‘ document any more and getting a JP or some one to certify it as authentic does not make the degree real. Please consult us if you are about to employ some one and need to rely on their degree as not all degrees are equal or genuine.